During the week lately dinners have been vegetarian or vegan. My husband has been pretty strict trying to eat vegan Monday through Thursday. So by the weekend I am ready for some comfort food. I have been following the hashtags #carbsandcheese on Instagram and during the week it makes my mouth water. I decided that this weekend I was going to make my own #carbsandcheese meal of three cheese rigatoni. Rigatoni is my favorite shaped pasta. The shape of the pasta sops up sauces so well. I also LOVE vodka sauce. 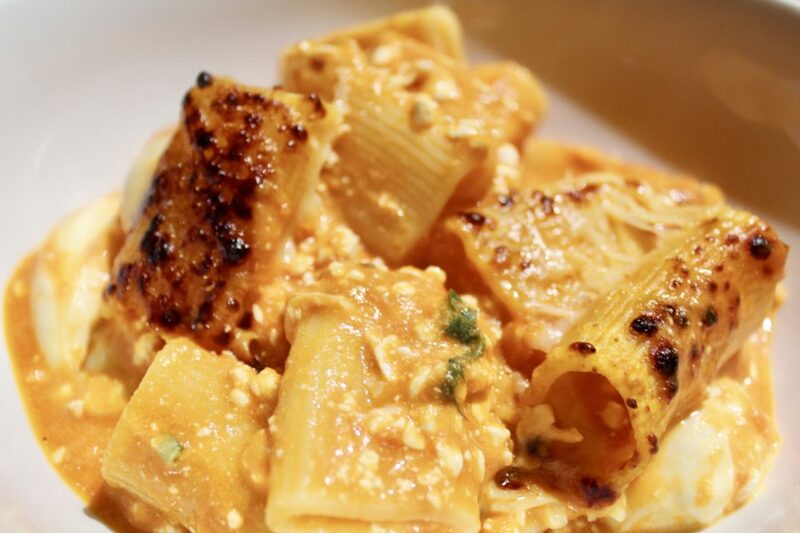 I have actually made a few recipes that I have posted before found here and here of rigatoni and vodka sauce but have not combined them for a recipe before. The vodka sauce is pretty quick to make but it tastes slow cooked (which I love for a time saver). 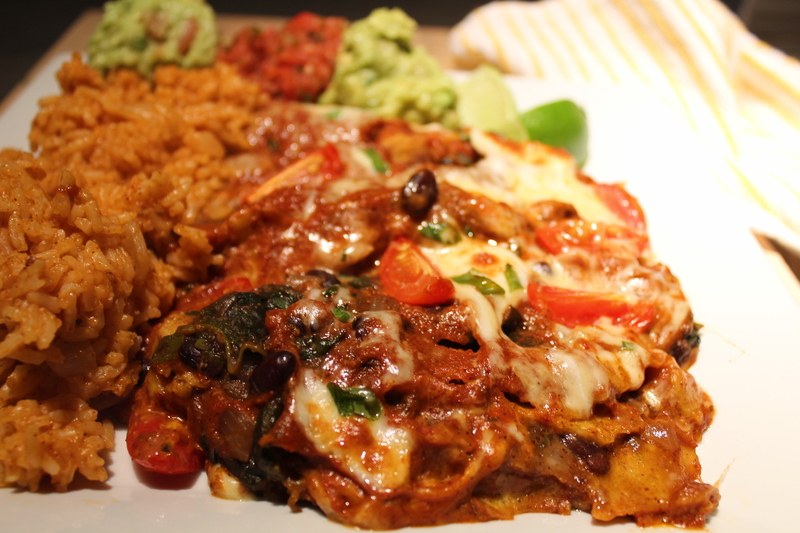 To amp up this recipe and to have the second part of my hashtag, I decided to make it cheesy. 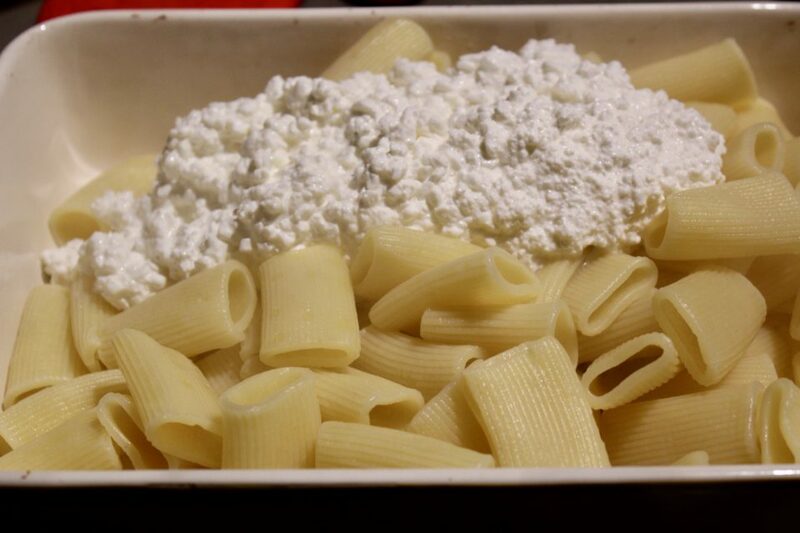 My mom never used ricotta going up in stuffed pasta, she always used cottage cheese. Since that is what I grew up on, that’s what I use for baked pastas. Cottage cheese is actually pretty low fat and high in protein so I love adding it into baked pastas. Then mozzarella and parmesan were the next obvious Italian choices for this dish. I bought little mozzarella balls at the grocery store that I added into my dish which melted up nice in the oven. 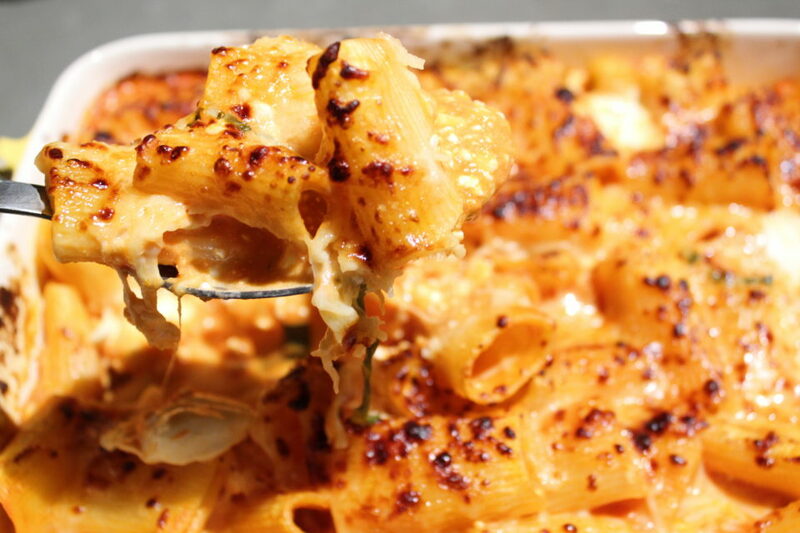 The mozzarella added nice gooey chunks of cheese into the pasta. This pasta really hit the spot to satisfy my #carbsandcheese craving. While it is not the most waist line friendly it is a good comfort meal perfect for a night you just want to cheat or not care about your diet. 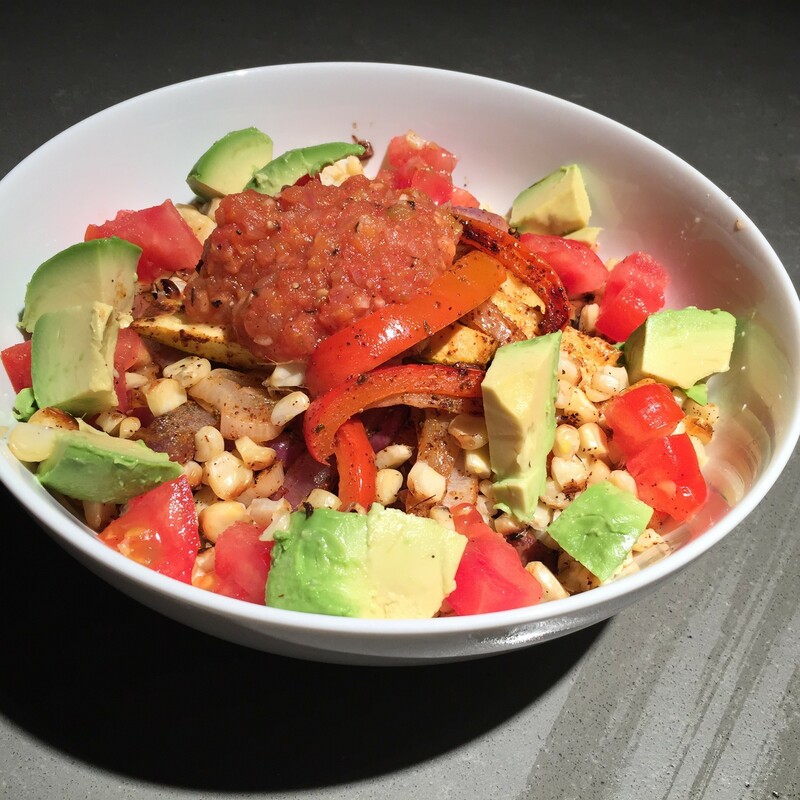 When you eat mostly healthy anyway this won’t set you back too much and will make your stomach REALLY happy! In a large pot sautée garlic, onions and red pepper flakes over medium low heat for twelve minutes or until the onions are tender. Add in canned and fresh tomatoes and sugar. 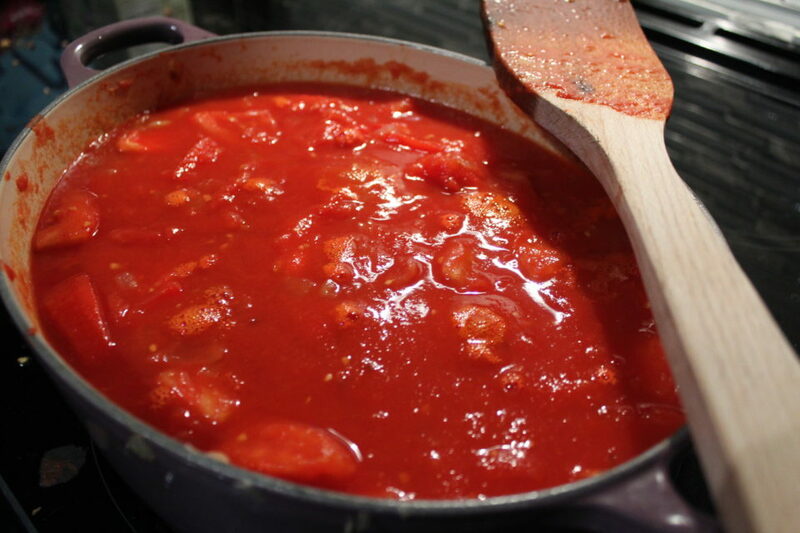 Using a potato masher break up the whole canned tomatoes. Season with salt and pepper to taste. Cook over medium heat for twenty minutes, stirring occasionally. 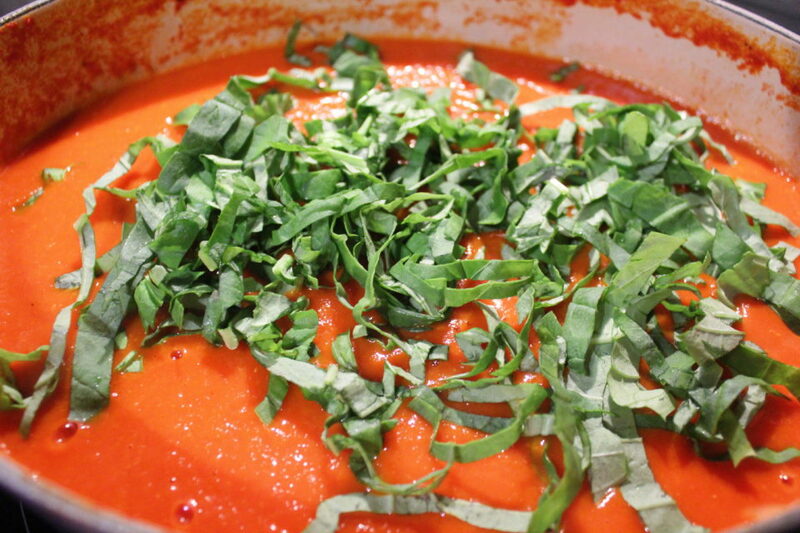 Using an immersion blender or a regular blender puree sauce so the tomato seeds get ground and the sauce is smooth. I used a Vitamix and it did the best job out of all three mentioned. Return sauce to pot and turn heat to low. Stir in basil and heavy cream. Bring a large pot of salted water to a boil. Cook pasta 2 minutes shy of cooking directions. Try a piece of pasta. 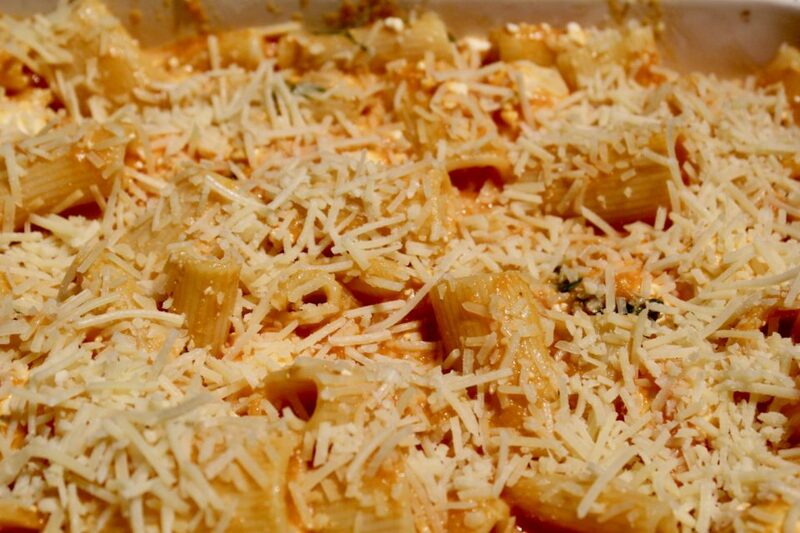 You want the pasta to be shy of al dente as it will continue to cook in the oven and you don't want it soggy. Drain pasta once done. 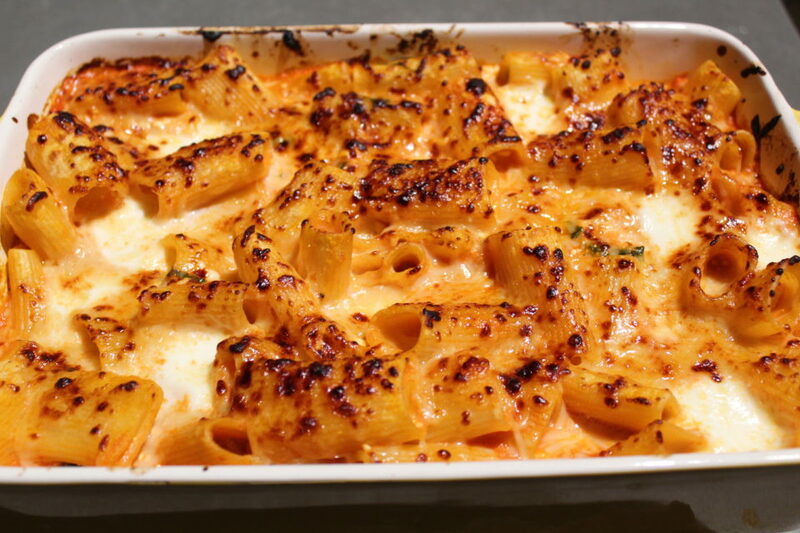 In a large baking dish combine rigatoni, cottage cheese (if your cottage cheese is watery, drain it before hand), mozzarella balls and the sauce. Top with the parmesan cheese. Bake for 10 minutes. Then turn on the broiler to high. Broil 3-5 minutes or until the cheese on top gets golden brown.